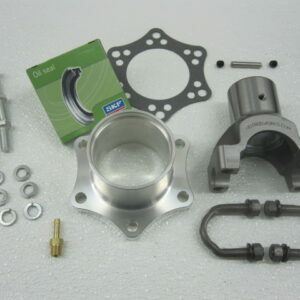 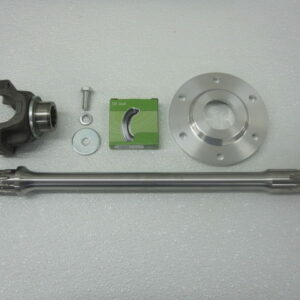 Convert your 1935-1948 Ford hot rod’s banjo rear axle from torque tube (closed) drive to open drive with our easy-install, bolt-on conversion kit. 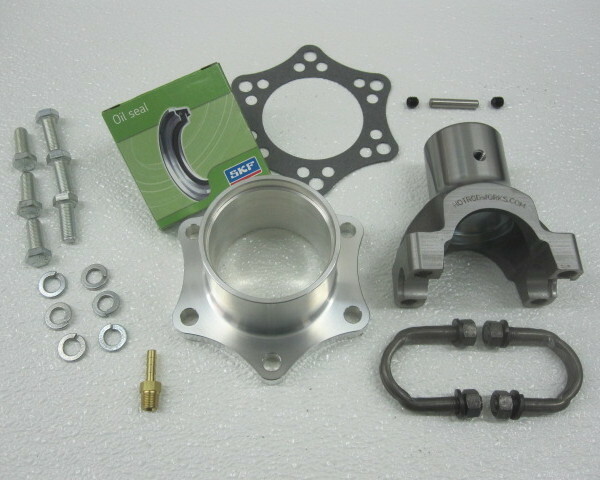 This modern driveline kit is compatible with a standard #1350 U-joint (NAPA #331, not included) and is 100% made in the USA. 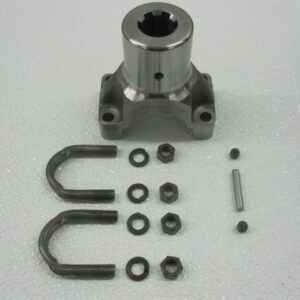 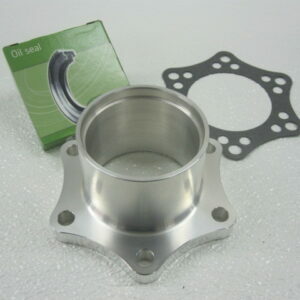 Every component is precision-machined to correctly fit a 10-spline pinion.